As BBC noted Mr Peng's demise comes in the same week as that of Michael "Jim" Delligatti, father of the McDonald's Big Mac, who was also 98. General Tso's Chicken: I am not a big fan of General Tso's chicken due to the sweetness, but occasionally do order it out like this one time in July this year at the Reren DC in Chinatown. 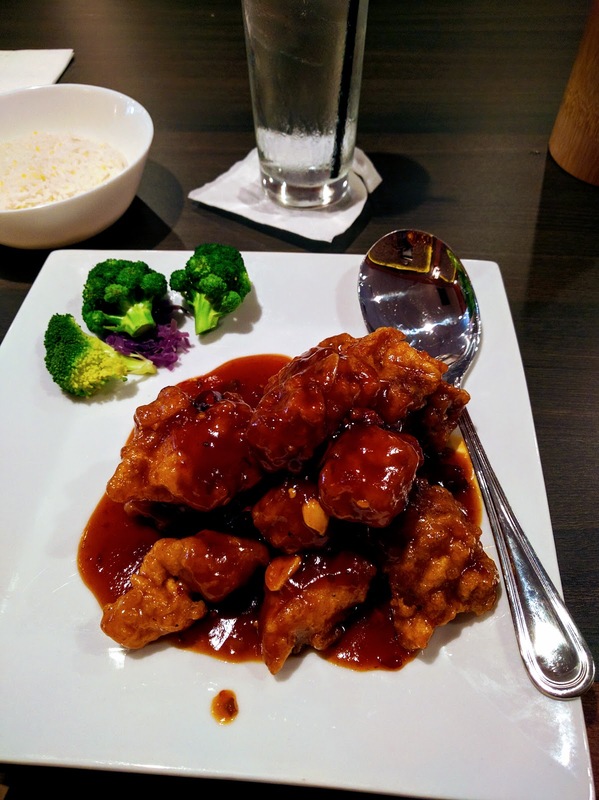 The dish was created in 1952 in Taipei for a banquet given in the honor of a visiting US Navy Admiral, Arthur Radford and named after a 19th century warrior Hunan General Zuo Zongtang. 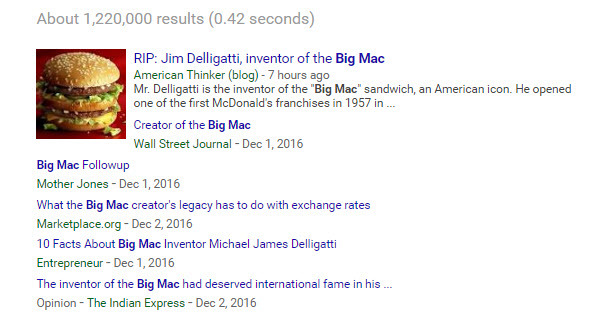 "Jim Delligatti, the McDonald’s Corp. franchisee who created the Big Mac, died Monday at the age of 98. His story is a reminder that great business innovations often have nothing to do with high technology but always have a lot to do with satisfying the customer." While the mothership (Read McDonald's HQ) wasn't happy about this creation, customers loved the this 1967 creation - "two all-beef patties, special sauce, lettuce, cheese, pickles, onions on a sesame seed bun,” WSJ also notes that innovation need not be reserved just for Silicon Valley and can come from Uniontown, PA where Delligati owned the franchise. Sadly it does not appear that Jim Delegatti made any money from this creation. I am not a fan of the Big Mac either. I prefer the Chicken Maharaja Burger or the McAloo Tikki burger sold only in the Indian outlets of McDonalds.